The Saint-Léon castle was long believed, mistakenly, to date from the 11th or 12th century. 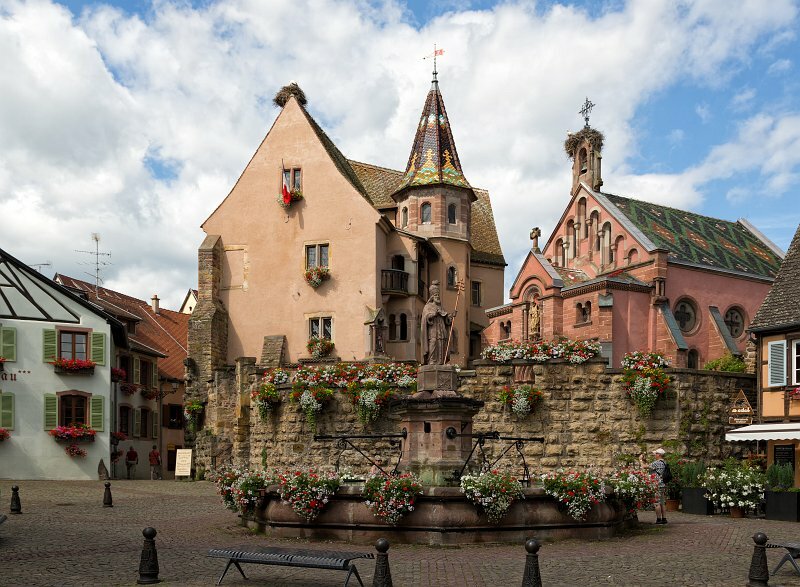 This was because of historians relying on texts actually describing another castle, the Château de Haut Eguisheim, and the birthplace in 1002 of Pope Leo IX (Saint-Léon in French). In fact, the castle's octagonal plan and central keep, its masonry and, most importantly, its similarity to other castles date it to the first part of the 13th century. The enceinte was surrounded by a moat which was filled in by the 18th century. Houses built in the castle courtyard and against its walls were destroyed by a fire in 1877 which also damaged the castle.